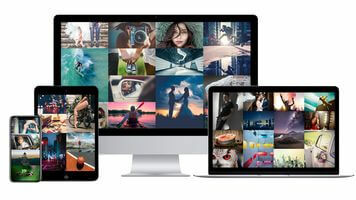 Social networks for photographers: uses and features - Arcadina - Webs para Fotógrafos y Creativos. - Arcadina - Webs para Fotógrafos y Creativos. Which are the most common social networks used by photographers? These are the most important social networks for photographers. Do you use them? Which has given you the best result? Tell us about it by leaving a comment! Don’t have your website in Arcadina yet? Well, you don’t need to think about it too much, as you can create a free website in a 14 day-trial with no commitment. Now is the time. Nowadays, a good use of social networks is essential for any professional who wishes to start freelance work, including photographers. Networks help you get known, advertise your work, generate a personal brand image and talk to potential customers at the click of a button. However, how do you know which of all social networks for photographers are the most suitable? How do you move around in them? Don’t worry: we prepared a list with instructions to help you identify which networks are essential and which advertising strategies work best within those networks. It is impossible to talk about social networks for photographers without emphasizing Facebook. With billions of users, its overcrowding is both a blessing and a curse. How do you stand out amongst such stimulus and content, and how do you reach your potential customers? It is imperative that you have a professional page. Some photographers use their personal profile, but the most appropriate tool to generate impressions is a well-structured and complete page. 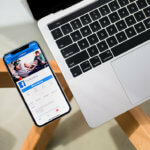 In addition, you can invest in advertising and promote your most important posts through Facebook ad campaigns, which allow you to generate visibility without spending too much money. Since they expanded the maximum number of characters to 280, some might say that the microblogging network has caused images to lose impact. Nothing is further from the truth! The power of images is still essential in Twitter, and this is an opportunity professional photographers can’t miss. Twitter also offers the possibility of promoting tweets for a low amount of money, but if you want to learn how to move well within this social network, you need to make contacts. You need to keep moving, share content often, follow other professionals and interact with them. In addition, you need to understand your audience and strive to offer easily consumable content with the aim of generating viral impact. Instagram is a social network that is going very well at the moment, and is, by its nature, excellent for professional photographers. The social network has dramatically increased in number of users since it was acquired by Facebook. Instead of more or less short text posts, images are at the forefront in each post: they are squared, and stickers or filters can be applied, as well as an accompanying text. A good use of hashtags is vital for generating traffic on Instagram. Remember: you can only use up to 30 hashtags per post (with more, you run the risk of your content being blocked). Find out which hashtags are more in use at that moment and take advantage of the pull, but try not to fall into the absurdity of bloating your publications with labels that have nothing to do with your work. Another recent social network explosion, Pinterest focuses on the categorization of images through albums and labels. It is used mainly by people who exchange beauty tricks, cooking, cutting and sewing items and all kinds of tutorials. If your work is aimed in that direction, perhaps this could be an important advertising channel for you. Pinterest is also a great social network for photographers who want to order and categorize their photographs perfectly, since you can choose how to structure your albums and collections. According to session? According to the theme to be developed? Try to find the one that best suits your way of working and advertising. Although not as well known to the general public as others, this community is perfect for professionals and creatives. Illustrators, graphic designers, photographers … Everyone has a place in this platform that allows you to display your portfolio in an orderly manner, providing contact tools and varied notifications to know when someone is interested in your photographs. 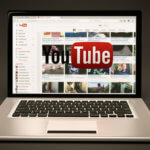 Maybe you’re one of those who believes that Google+ is not worth paying attention to, but you should bear in mind that Google offers many vital tools for any freelance photographer who works from the internet. With its Gmail email platform and through Google Drive you can store and send your attached works regardless of their size. All these applications can be used from a computer and from mobile. In addition, Google Hangouts offers video conferencing so you can keep in touch with your customers wherever you are. 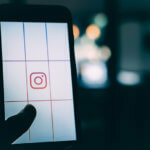 Although initially the social network for photographers par excellence, the progress of Instagram and Pinterest and some changes in Yahoo’s usage policy have left it a little behind. It is still interesting as a meeting point for amateur photographers, but the social network’s image usage policy can cause issues for professionals. 500px, on the other hand, is what Flickr should have been. It is a social network for professional photographers that allows the publication of high quality images. This social network is essential for anyone who wants to move around professional environments in the world of images. This is where you will find the top photographers, but there is one consideration: you have a limited free account, a “plus” one (for 25 dollars per year) and another for 75 dollars per year. 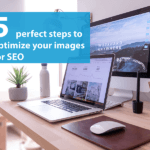 The visibility of uploaded photos depends on an algorithm that calculates their importance; the higher the mark your image gets, the more it will be seen. This peculiar ranking system is restarted every day, so it’s a good idea to participate regularly. In addition, 500px allows you to sell your photographs through its online store (photographers get 70% of sale price, which is quite good). 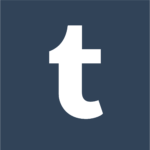 Tumblr is a microblogging platform that many photographers and artists use to share their work. The system by which publications are shared is similar to that of Twitter, only there isn’t a low limit of characters or images per post. It is vitally important to label posts; what isn’t labelled doesn’t exist. Of course: make sure that the really important labels are the first five, as they are relevant to the internal search engine. 1) Share any photo, video, web page or blog article on the most popular social networks. You can even share the photos, products and services of your online store to increase your sales. 2) Integrate your Instagram gallery on the website, making the most of this trendy social network. 3) Add a long list of social networks, including social networks specialized in photography such as YouPic, Vsco, MyWed and FearLess. 4) Include the WhatsApp icon in the mobile version of your website so that you can be contacted through this well-known chat tool in just one click. You can also include SMS and direct call icons. 5) Integrate Facebook comments on your blog.